We made it! 173 days of packed lunches. Mostly nutritious ingredients with a few treats here and there (and almost all of those were homemade!). Above and beyond anything they would get in the cafeteria and much healthier and varied than most standard American sack lunches. Today’s post is bittersweet not only because my little guy is no longer a 1st grader, but also because I do not intend on continuing this blog after today. 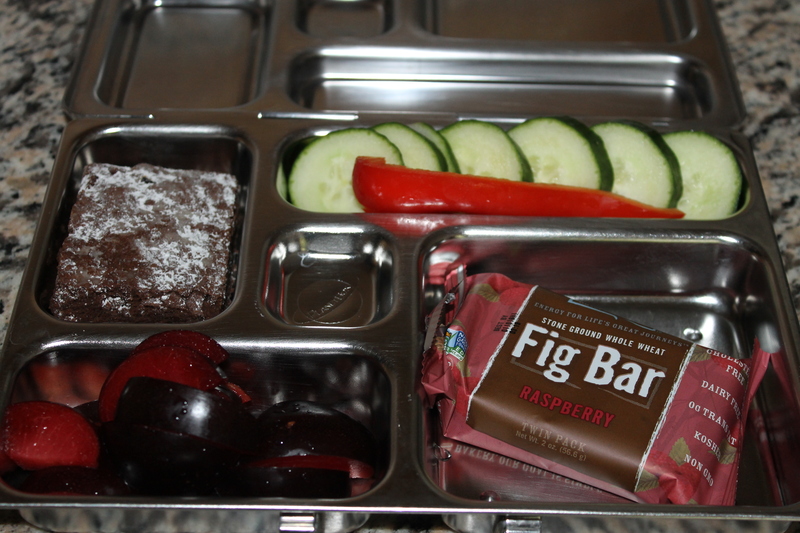 I will continue to send my kids to school with healthy packed lunches throughout the years, but I no longer have the time to dedicate to writing the posts. If you’d like to follow the food adventures of our family, hop on over to Veggie Inspired for some healthy plant based meal ideas. 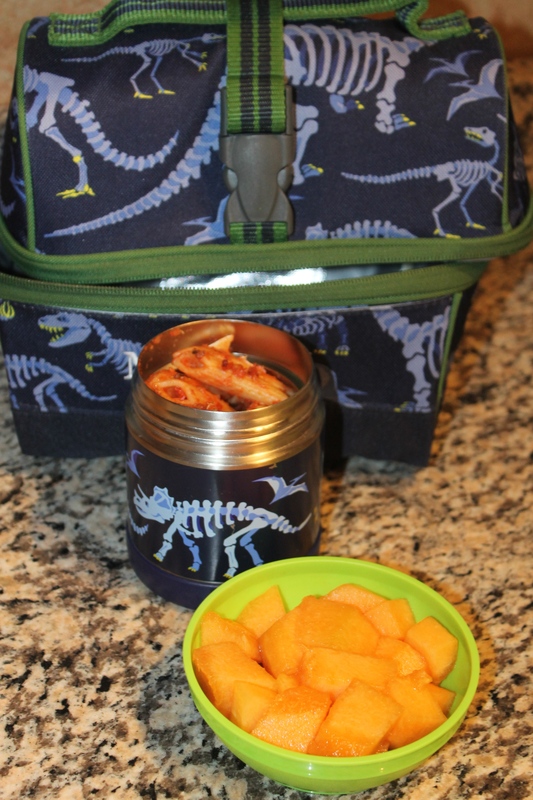 I don’t specifically post lunchbox pictures there, but I do have a category titled “Lunchbox” where you’ll find food that packs and travels easily. I will keep this blog live throughout the summer and probably at least through the first month or so of school next year in case anyone needs to look back for some inspiration. If you have any questions at all, please feel free to e-mail me at veggieinspiredjourney@gmail.com. I hope everyone has an amazing summer! 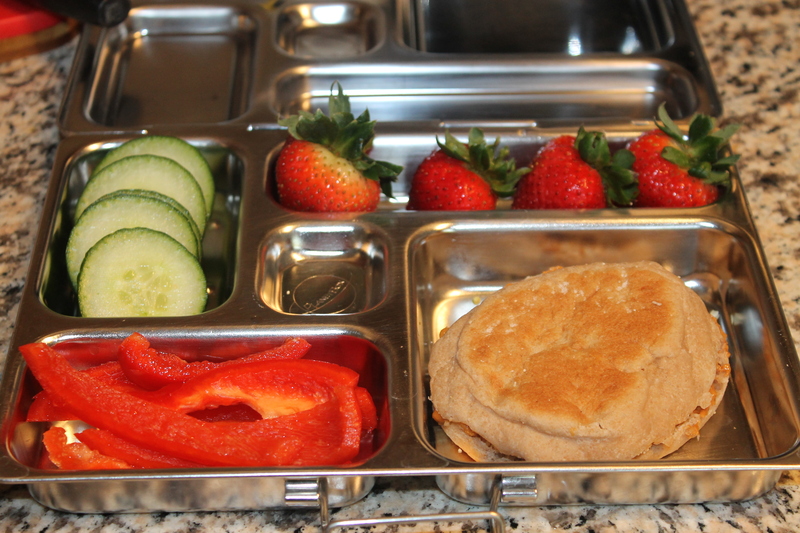 And with that, I leave you with one last lunchbox pic! I promise I didn’t forget to post yesterday, which would have been day 171….M’s class took an outing to go bowling and they ate lunch there. 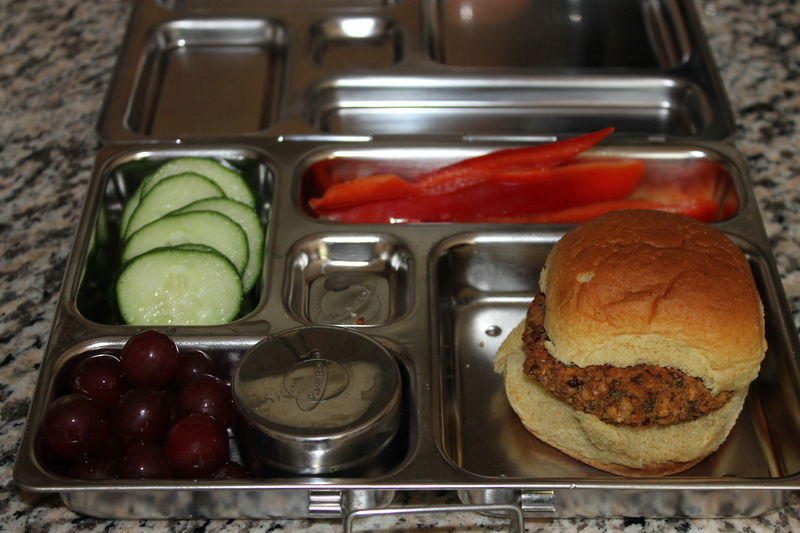 Today, M is getting a leftover BBQ Bean Burger with fruits and veggies on the side. Happy Wednesday. Tomorrow is the LAST day of school! Well, folks, this is it…the last week of school. Thursday is the last day. Let’s make it a good week! 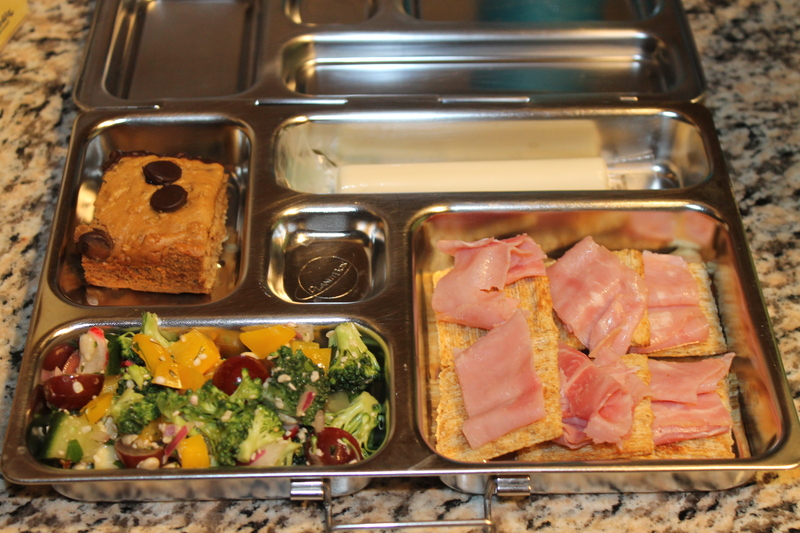 Today, M is getting whole wheat crackers with slices of ham…sort of lunchables style. On the side, there is sting cheese, raw chopped veggie salad (this salad is amazing, has an oil free vinaigrette, and will be coming to Veggie Inspired in the next few weeks!) and for a little treat – Chocolate Chip Quinoa Snack Cake (also coming to Veggie Inspired soon!). Enjoy your week! Today’s lunch is turkey and red bell pepper with a bit of mustard rolled up in a tortilla. 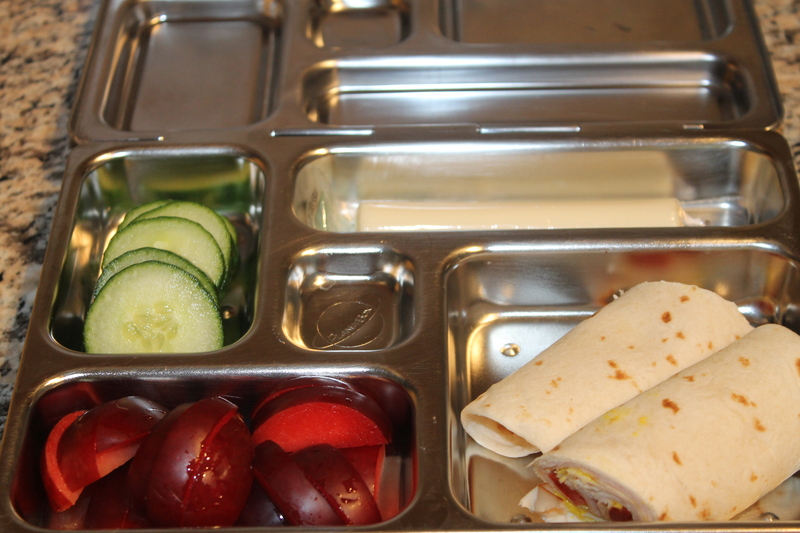 String cheese, fruit and veggies on the side! One week from today is the last day of school! It was supposed to be this week, but they have to make up all the cold/snow days from the winter. Today, M is getting an English Muffin spread with peanut butter and sprinkled with hemp hearts. Hemp hearts are kind of an obsession of mine. I sprinkle them on everything (toast, oatmeal, cereal, ice cream, rice bowls, noodle dishes, etc). If you haven’t tried them, you should! They are tiny crunchy nutty perfection! Super high in protein, omega-3 fatty acids, iron, and Vitamin E, these tiny seeds are consider a superfood! M is getting pasta leftovers today along with his favorite fruit! I hope everyone had a nice Memorial Day weekend. We FNALLY got our garden planted and I’m so excited! Less than 2 weeks left of school this year. Seems crazy that my little guy will soon be a SECOND grader! Wow! 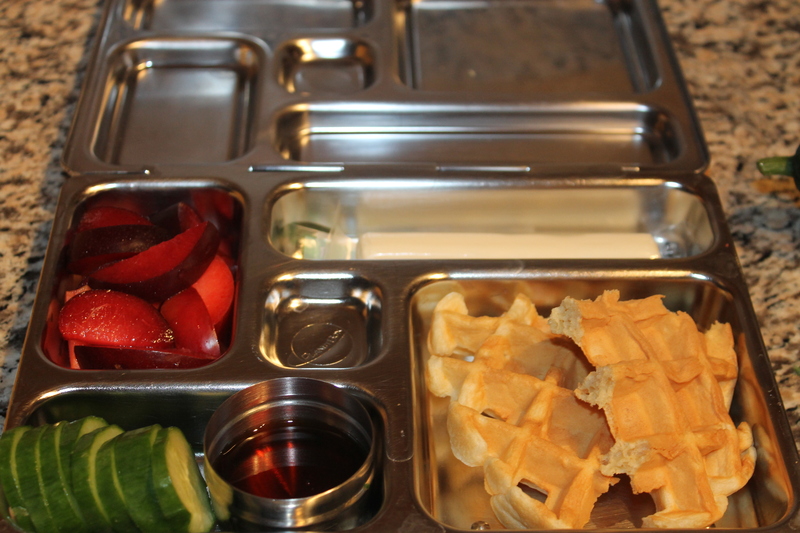 The kids were at their grandparents this weekend and my MIL made awesome Belgian waffles one morning. There were plenty of leftovers and they were nice enough to send them home with us. M is getting part of one in his lunch today!